Branson invites students to share how technology is shaping their future as part of nationwide review. Richard Branson is encouraging 20,000 young people across the UK to share how technology is helping to shape their futures, as part of a nationwide review. The review, Generation Tech, will investigate the role technology is playing in education. Launched by Virgin Media Business, the firm is calling for submissions from pupils and teachers to answer the Big Digital Question: how schools today are embracing the 21st century classroom and how it can continue to enhance learning tomorrow. 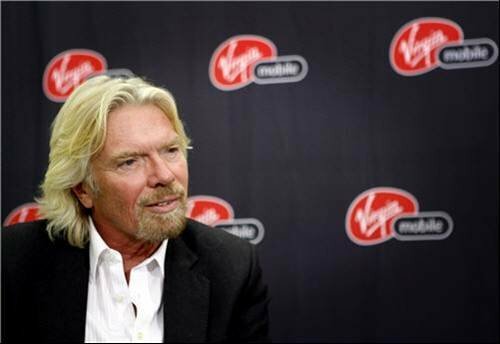 Branson said: “As children, we didn’t have to tackle the digitalised world but we also didn’t have the opportunities that it brings to today’s younger generation. Education Minister, Elizabeth Truss, said: “Technology is everywhere and it’s vital that children understand how to make it work for them. This is why we are introducing rigorous new curricula in maths and computing, which will teach children skills such as coding and programming, along with the maths, which underpins computer science. Students need to be confident in both to understand the basis of the modern world and be able to contribute to the future. Generation Tech also plans to find members for the UK’s first Digital Youth Council. These will also be chosen through nominations made by schools. The council will lead The Big Debate, due to take place in autumn, where students will have the chance to highlight issues of importance to them. Mario Di Mascio, executive sales director of Virgin Media Business, said: “Schools across the country are doing a brilliant job in adapting to the digitalisation of our world in classrooms and new teaching methods. Pupils and teachers know better than anyone what is working and where the use of digital technologies can be improved, so it’s time that someone stopped to listen and learn from them. Big Digital Question submissions will be hosted at www.generationtechvmb.co.uk. Nominations for the Digital Youth Council can also be made here and will close on 6 June.